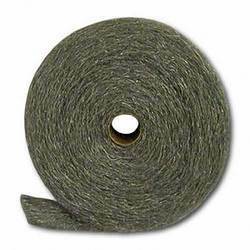 We are the leading manufacturers of steel Wool having multiple uses. (Plywood, industrial use) We manufacture Steel Wool Pad in different grades and in different packing according to buyers requirements. We bring forth vast industrial experience and expertise in this business, involved in offering a high-quality range of Stainless Steel Wool. 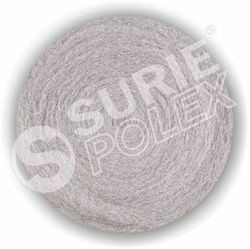 Small pad steel wool poly-pack provides the right amount of product for a do-it-yourself project and professional task. Available in 5 grades, from Extra Coarse (Gr.6) for heavy-duty stripping to Super Fine (Gr.00) for polishing, including wax polishing. There is a grade for every need. We offer Steel-wool Domestic pad & rolls which are specially manufactured to remove tough grease and stains from household utensils and to clean sanitary tiles. Restaurants use it to clean their crockery and cutlery. We have gained international acclaim and testimonials from our clientèle for the high quality that we deliver consistently.